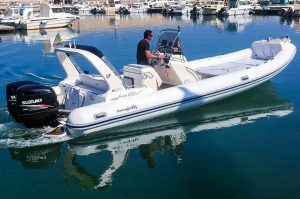 Rigid inflatable boat (RIB) with a maximum capacity of 12 people and provided with 2 outboard engines of 225 HP each one. The price does not include fuel. The boat is delivered with full fuel tank (300 liters). The 2x225 HP engines fuel consumption is approximately 45 liters / hour, but can vary depending on the number of people aboard and the speed at which you navigate. Fill out the booking request form with your data. We will respond as soon as possible, thanks. 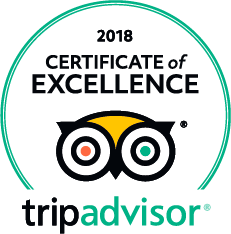 Due to the high demand for reservations, during the months of AUGUST & SEPTEMBER we will only answer requests by phone or WhatsApp. Sorry for the inconvenience. 3. You enjoy your boat!